Die Vollversion BlackBerry Video Converter Factory Pro jetzt günstig kaufen und downloaden – mit Gutscheinrabatt! BlackBerry Video Converter Factory Pro is specially designed for BlackBerry devices. This BlackBerry video converter has nearly all BlackBerry devices as its output choices with optimized profile, that is, you can convert video/audio to BlackBerry devices directly without figuring out the right video format, display resolution, bitrate, frame rate and encoder for BlackBerry devices. This BlackBerry Video Converter completely supports the newest BlackBerry PlayBook, BlackBerry P'9981, BlackBerry 10 Dev Alpha, BlackBerry blade, BlackBerry Dev Alpha B, BlackBerry Laguna, BlackBerry Surfboard, BlackBerry Bold 9930/9900/9790/9780/9788/9700/… BlackBerry Curve 9310/9370/9350/9330/9300/8900/8530/… BlackBerry Torch 10000/9860/9850/9800/9810/… Storm series, Tour series, Style series, etc. In conclusion, BlackBerry Video Converter Factory Pro is really a good choice for us to convert videos to BlackBerry devices. 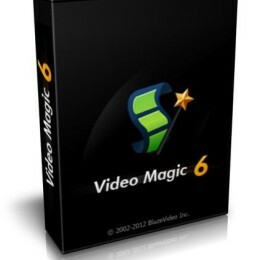 Wenn ein Rabatt oder ein Gutscheincode für BlackBerry Video Converter Factory Pro verfügbar ist, zögern Sie nicht, denn die Aktion könnte plötzlich zu Ende sein. Reagieren Sie jetzt, klicken Sie auf den "Jetzt kaufen"-Button. Wenn Sie BlackBerry Video Converter Factory Pro ausprobieren möchten, holen Sie sich die kostenlose Download-Testversion! Klicken Sie den Button unten an.